Ever step into the shower in the morning and accidentally turn on the hot instead of the cold? Now you can make matters even more confusing to you bleary-eyed state of mind with this 3rd knob. But this shower control doesn’t change the water temperature. 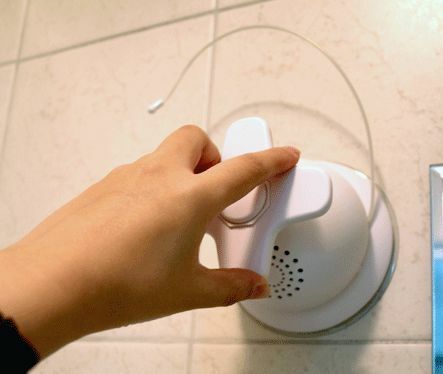 Instead, it controls the volume on a compact AM/FM radio. 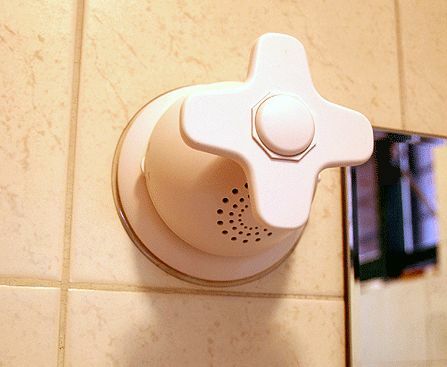 The radio grips onto your shower walls with a suction cup back, and is fully waterproof. While you won’t get scalded with hot water from this thing, I take no responsibility if you turn it on and the latest song from Fergie is playing.